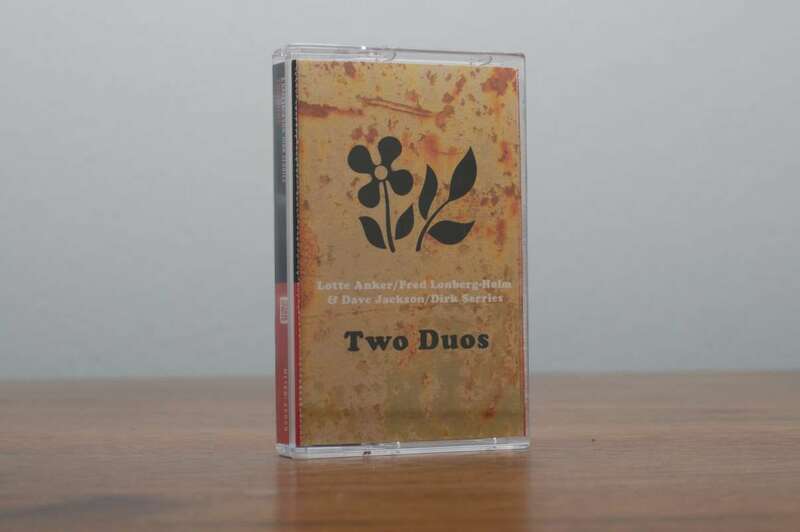 Astral Spirits is incredibly proud to present a new split tape Two Duos, featuring four amazing improvisers. 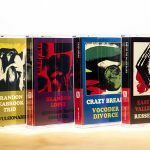 This tape is set up as two different takes on a Reeds & Strings duo, with each side showing a unique take on the classic duo pairing. 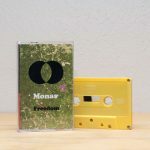 Fred Lonberg-Holm returns to Astral Spirits for his third release (following Ballister & Survival Unit III) here paired with the brilliant Danish saxophonist Lotte Anker. The duo was recorded in Chicago at Corbett vs. Dempsey Gallery, a beautiful and intimate setting that captures some truly beautiful music. Anker & Lonberg-Holm have been playing as a duo since 2006 as well as in various groups formations with folks like Ikue Mori, Gerald Cleaver, Hank Roberts & Stale Liavik Solberg. 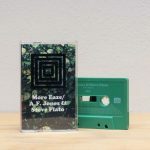 They explore far reaches of their respective instruments — from harsh & jagged edged cello scrapes & electronics of Lonberg-Holm to growling flutters out of Anker’s sax — while also leaving plenty of space and breathing room for each other. Dave Jackson & Dirk Serries are also new to Astral Spirits, showing a different side to the strings/reeds dynamic…Dave Jackson has been playing alto sax in the UK for quite some time, focusing on lots of solo playing (please visit his bandcamp, lots of great stuff) as well as the Solar Fire Trio (also features fellow AS artist Ray Dickaty of Warsaw Improvisers Orchestra!). 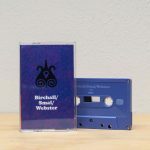 Dirk Serries has been making a splash in the music world for quite some time as well, from his recent work with YODOK III, Kodian Trio (w/Colin Webster) & his work with John Dikeman to past work as vidnaObmana & Fear Falls Burning. Side B is Jackson/Serries giving us 28 minutes of scorched earth free jazz (think Blue Humans without a rhythm section) with a healthy dose of quiet ambient bridges as well. A beautiful dialogue from two European veterans that are gaining more attention that they both deserve. Two Duos is out May 13th in an edition of 175 tapes (w/digital download).